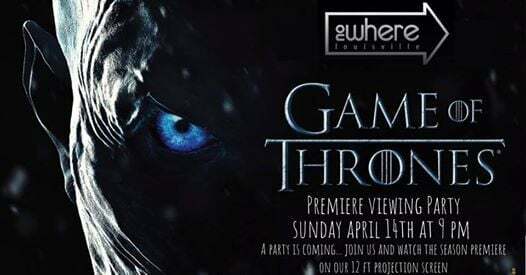 A Party Is Coming... Join us for the Season 8 Premiere of Game of Thrones. We will be showing the Season Premiere on our 12ft projection screen! There will also be specials ALL DAY LONG!